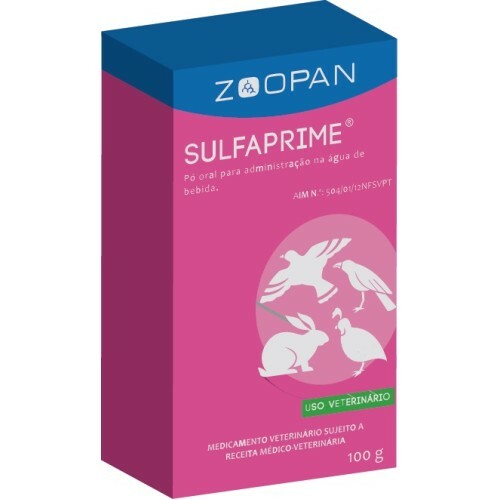 Sulfaprime 100gr by Zoopan is indicated for the treatment and prevention of infections caused by susceptible microorganisms, such as: salmonellosis, colibacillosis, pasteurellosis,infections caused by Staphylococcus spp., pullorum disease, infectious coryza, coccidiosis,bacterial enteritis, bordetellosis, mastitis, metritis, respiratory tract infections and other systemic infections. - Treatment: 2,5 gr. per litre of drinking water during 5 consecutive days. 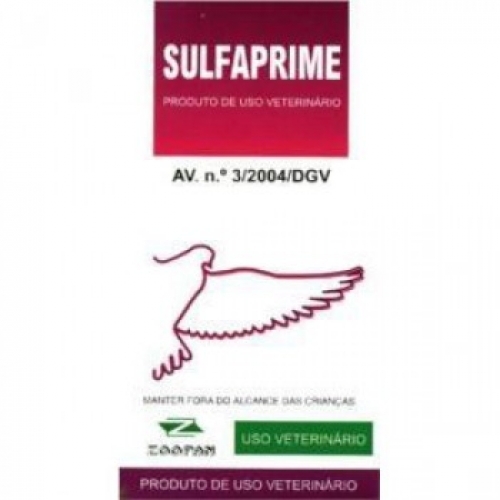 - Prevention: 2,5 gr. per litre of drinking water during 3 consecutive days.